Prime lenses are awesome. If you don’t know what makes prime lenses so great, you will after this post. A prime is a lens with a single focal length. Unlike a zoom lens, the only way you get closer to or farther from your subject when using a prime lens is by moving the camera itself. Prime lenses are referred to simply by their focal length. 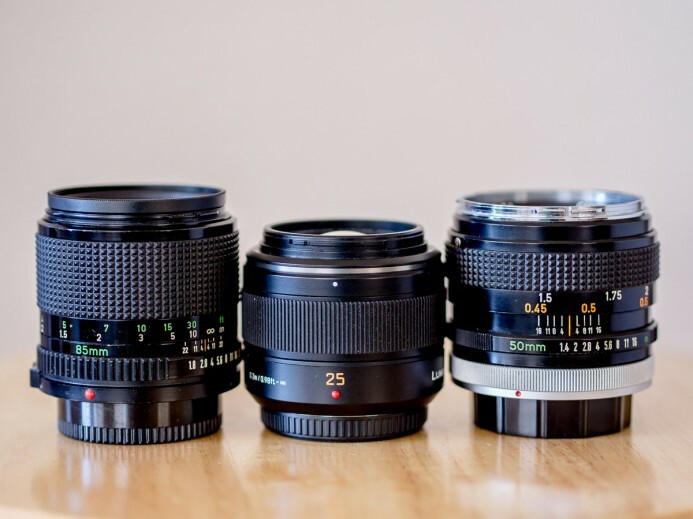 For example, 25mm, 35mm, 50mm, and 85mm are all common focal lengths for prime lenses and is how they are generally referred to as well. You may have heard of lenses referred to as a “nifty-fifty”, a “thrifty-fifty”, or perhaps simply as a “normal lens”. These all refer to a 50mm prime lens, one of the most popular prime lenses because its field of view closely matches what our eyes see. Note: A 25mm prime lens would be a “normal” lens on the Panasonic GH4 with Micro Four Thirds’ 2x crop factor. “Nifty-Twenty-Five” doesn’t quite have the same ring to it though. Now that you know what a prime lens is, let’s talk about the top 5 reasons why you should be using primes on the Panasonic GH4. Relatively speaking, primes have a simpler construction since the internal lenses do not need to move to adjust focal length. Fewer components and moving parts means prime lenses are lighter and less prone to image quality issues such as chromatic aberrations, fringing, and flare. However, using prime lenses is where their simplicity really shines. A prime lens is not a catch-all lens. 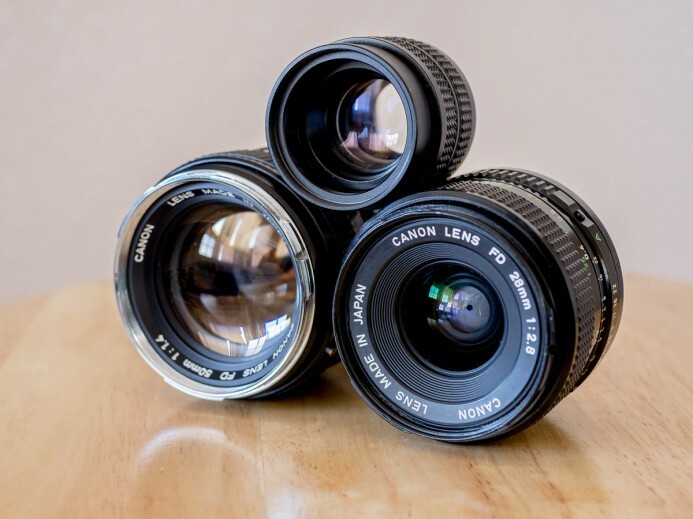 Instead of the wide range of focal lengths you have with zoom lenses, the single focal length of a prime lens gives you one option when composing a shot. This is one less decision you have to deal with when shooting, allowing you to focus more on getting great shots that tell a compelling story. Furthermore, different focal lengths and apertures will be better suited to different types of shots. A lot of the fun of using primes is discovering which focal length and aperture work best for the energy and emotion you want to infuse into a shot. Once you learn what works best for a specific type of shot, shooting gets even simpler. Bottom line: Prime lenses don’t burden you with a mountain of options when deciding how to compose a shot. With only one focal length, the choice is simple. 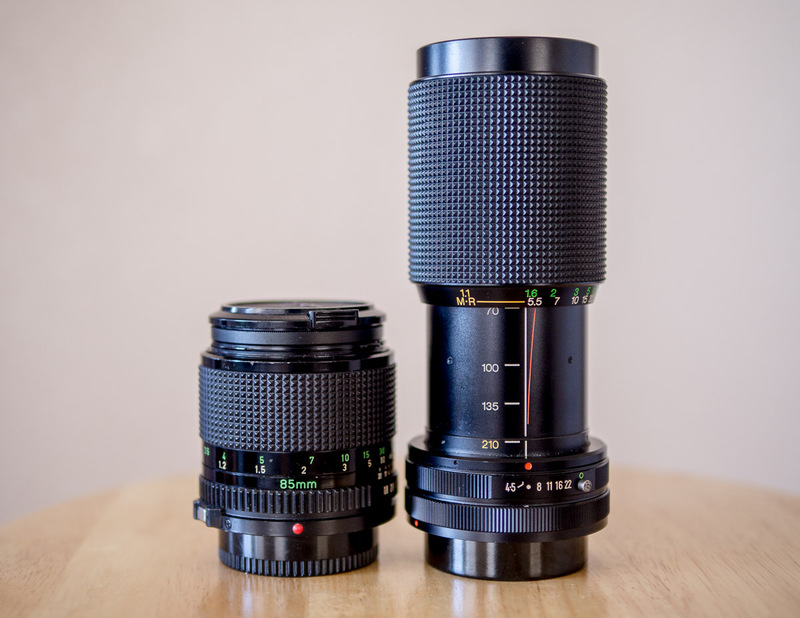 Fewer components in prime lenses means that they are smaller and lighter than zoom lenses. 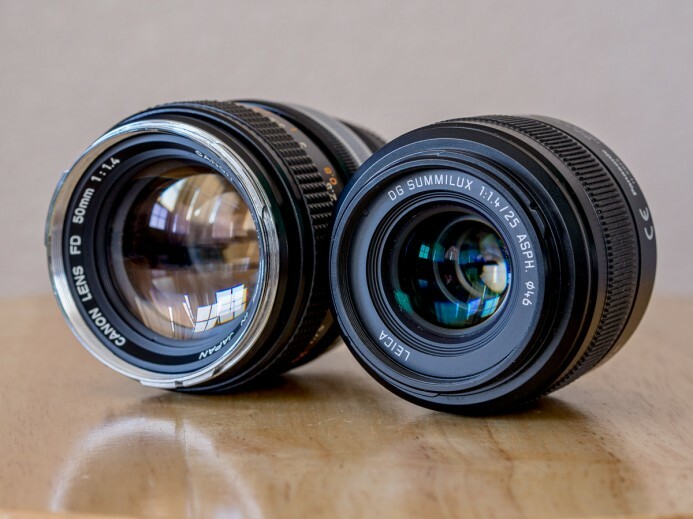 Which lens would rather heft around all day? Smaller lenses also mean you can fit more primes in your camera bag– so you have the right lens for each shot– without being weighed down. Bottom line: When you want to be light and mobile, use primes. Thanks to their simpler construction, prime lenses are often faster than zoom lenses– a lot faster. Note: A lens’ speed refers to the size of its aperture. 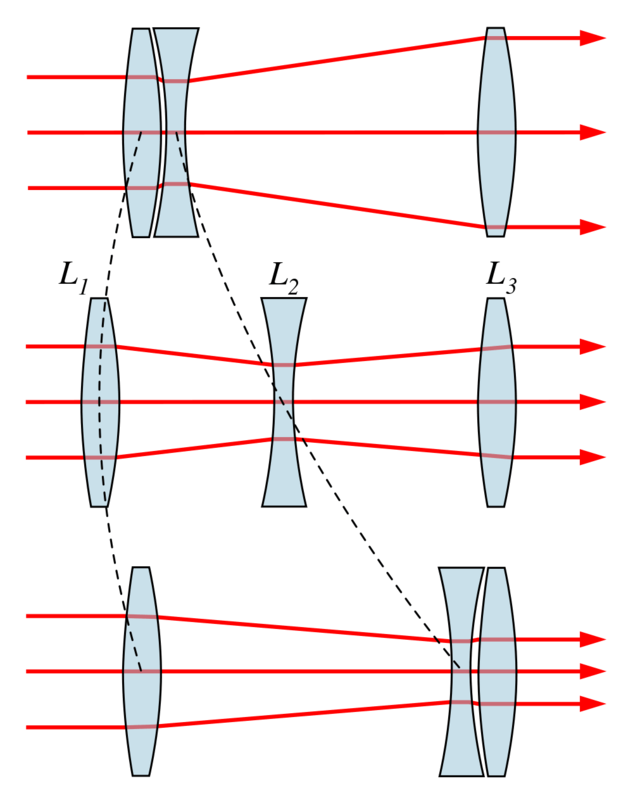 A “fast” lens has a large aperture. Prime lenses with large apertures from f/1.4 to f/2.0 are quite common for prime lenses. Even faster primes with apertures from f/0.95 to f/1.2 are not unheard of. What’s so great about fast lenses? Great in low-light — Larger apertures allow more light in so you can shoot in darker environments. Shallow Depth of Field (DOF) — Better isolation of your subject from the background helps guide the viewer to the important features in a scene. More control — You choose how much viewers see of the background and foreground by adjusting the aperture. Bottom line: Fast primes let you see in the dark and give you more control over how a shot ultimately looks. There are some great modern zoom lenses, but for decades prior, zooms were largely slow and unwieldy while great prime lenses were available in abundance. Thanks to the versatility of the GH4’s highly-adaptable lens mount, you have access to decades worth of awesome prime lenses, from 40 year old legacy lenses with an organic character to modern lenses with the best optics science has to offer. Bottom line: A huge back catalog of great prime lenses are at your disposal thanks to the GH4’s versatile lens mount. Some may consider a single focal length to be limiting, but this “limit” is actually one of the best reasons to use prime lenses. Constraints force you to be more creative. Adjusting the focal length of a zoom lens makes it easy to get the composition you want, but a prime only gives you one option, so you learn to be creative and get the best composition with what you have. Everyone needs to go out and shoot armed with just a single prime lens (I do this often). Sure, you won’t be able to get every single shot you envision, but you will inevitably discover new shots that you never imagined by getting creative and fully exploring the possibilities of the focal length you have at your disposal. Bottom line: The constraints of a prime lens’ single focal length force you to be more creative and help you grow as a filmmaker. Prime lenses are small, fast, and in great supply. Best of all, primes force you develop an eye for composition and simplify things so you focus on telling a compelling story. As a bonus, there’s no standing on the sidelines and twisting a ring to get the shot with prime lenses– you have to dive right in, get close the action, and shoot like you mean it. 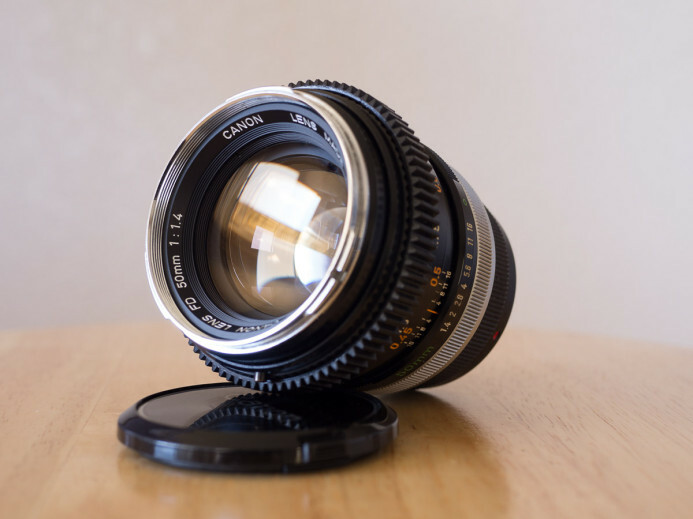 Voigtlander 25mm f/0.95 II — Want to see in the dark? 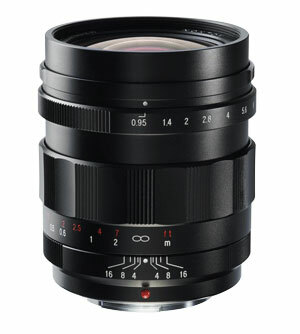 Voigtlander’s crazy-fast f/0.95 lens might let you do just that. Panasonic 25mm f/1.4 — One of my favorite walk-around lenses. Great in low light, sharp wide-open, and beautiful bokeh.